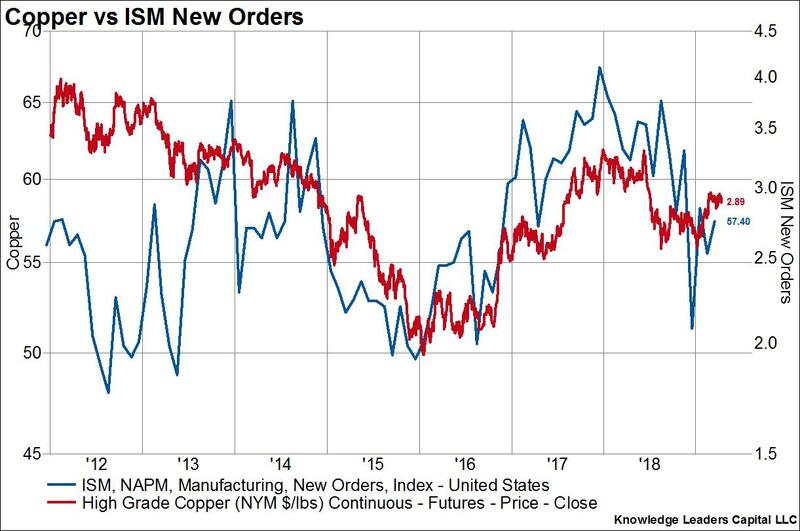 In the second and third charts below I plot the lumber and copper prices, respectively, against the ISM new manufacturing orders series. 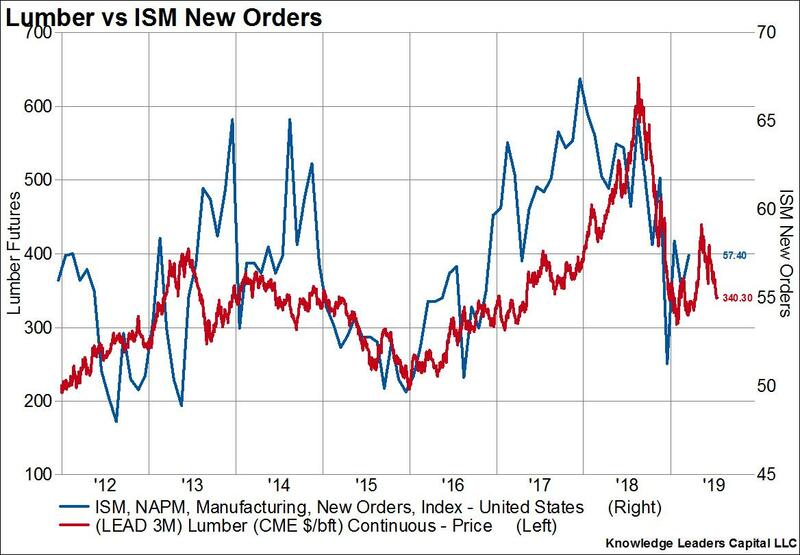 ISM new manufacturing orders are regarded as one of the best and most consistent indicators of economic activity over the next quarter or so. 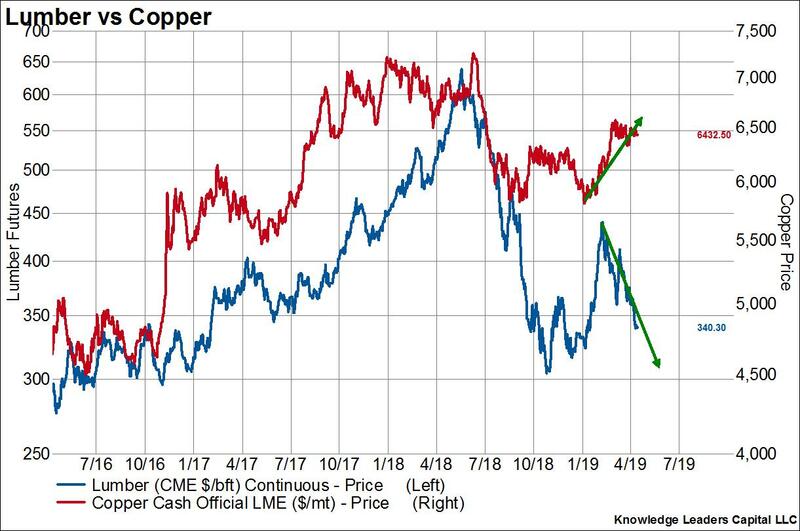 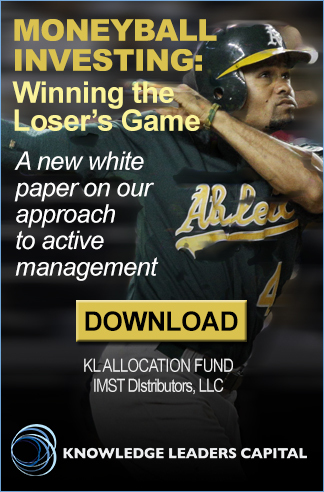 Lumber prices lead the ISM new manufacturing orders series by three months while copper prices act coincidentally.